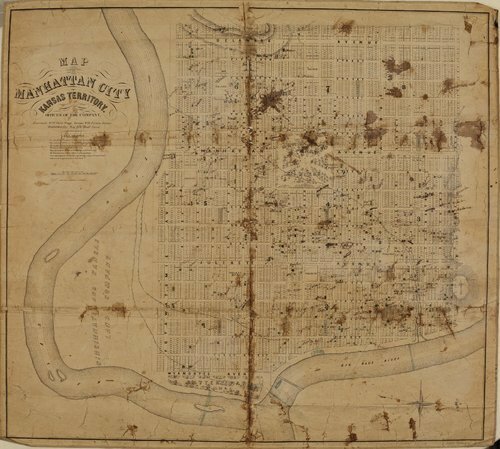 A map of Manhattan, Kansas Territory, showing streets, parks, rivers, and lot numbers. Some of the lots contain owners' names. Creator: Middleton, Wallace & Co.